MeMe Roth: Expel Sugary Flavored Milks from School..! Los Angeles to be first? Thx Jimmy Kimmel, Jamie Oliver & John Deasy! Go, MeMe Roth, Go..! I Support Your Efforts..! Expel Sugary Flavored Milks from School..! Los Angeles to be first? 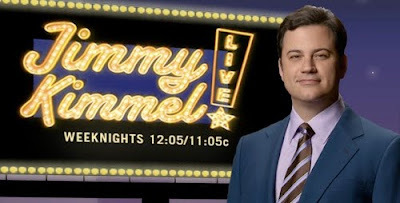 Thx Jimmy Kimmel, Jamie Oliver & John Deasy! Like Jamie Oliver, I've spoken out for years against flavored milks in school... That "Raise your hand for Chocolate Milk" campaign a couple years ago was just atrocious. I see the benefit to the Dairy Council of adding sugar to milk. But what's the benefit to children's health? The American Heart Association says kids shouldn't have more than 3 teaspoons of sugar a day. And yet the flavored milk at my children's school are equivalent to 7-8 teaspoons of sugar..! Plus, we all know milk already is a sweet drink, with its naturally occurring sugar (or lactose). Sugar is delicious but dangerous. It's a pro-inflammatory agent that does damage. Throwing sugar onto something otherwise healthy renders it un-. And sure we all could use Vitamin D. If we're not getting enough from the sun, then we can take supplements or spray it onto other foods/drinks just like it's sprayed into milk. It is easy to get fat in the US. Food companies cater to the biggest consumers and now it is self perpetuating with no end in sight. The greedy corporations are not going to reform the foodscape. The only people who can do anything are consumers. Next time you go to a convenience store look for the smallest fountain drink you can buy. Look for anything healthy. If healthy foods sold well they would sell them. Accept for bottled water and milk there is nothing sold in a convenience store fit for human consumption but in spite of that people still buy it, eat it and feed it to their kids. I have a problem with that and I don't mince words when discussing it. Thank you MeMe for being the voice of reason. People are alive because of you. I'll shut up now. Cause of your excess weight..?